CyArk is proud to announce the launch of Nineveh on CyArk, as part of the larger Digital Nineveh Archives. Nineveh (ancient Ninua) (36°22'N 43°09'E) is situated close to the confluence of the Tigris and Khosr Rivers, within the modern city of Mosul in northern Iraq. This project is the first of its kind for CyArk in that no high definition documentation techniques were used to collect the data. 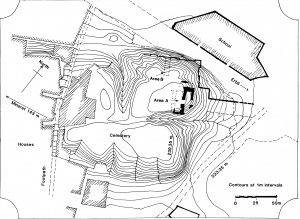 The project consists of original excavation records and it has grown to accommodate knowledge contributed by other archaeologists past, present and future, in what has the potential to be the first comprehensive archaeological reckoning of the history of the site, from the 19th century through to today. The United States National Endowment for the Humanities provided funding for a two-year digitization project directed by Eleanor Barbanes Wilkinson (Durham University, UK), and David Stronach (University of California, Berkeley). 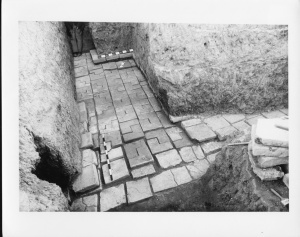 With this grant, the UC Berkeley Expedition field records served as the basis for the first comprehensive reckoning of the past, present and future of archaeology at Nineveh. All of the available Berkeley field records, as well as primary and interpretive data from other contributors, have been digitized, geographically coordinated within a three-dimensional matrix, and incorporated into a searchable database, which has now been made accessible to the public via the internet for the first time. 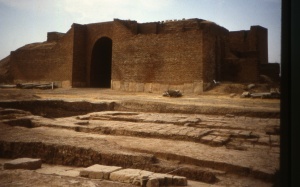 The objective of the Digital Nineveh Archives is to establish the main context for meaningful analysis of currently unlinked sets of data from different areas and different periods of work within the 160-year history of archaeological exploration at Nineveh, allowing the fundamental data to be immediately accessible to researchers who would otherwise have to wait years for the reports to be published conventionally, if they were able to obtain them at all. Through partnerships with CyArk, UC Berkeley, The British Museum, Durham University and others, the Digital Nineveh Archives will be a sustainable destination for scholars and the public to explore the vast and rich history of this remarkable place. If you are interested in contributing content to the archives we encourage you to contact us.